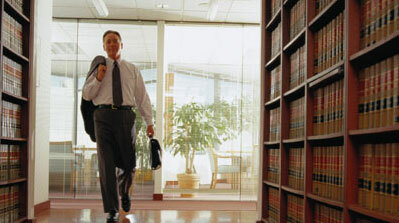 Arrive at the Courthouse 15 minutes early so that you can locate the proper Courtroom. If you see your name on the docket on the Clerk’s office counter , then by all means go into the courtroom indicated. If you still do not know where your case will be heard, ask one of the Clerk’s in the Clerk's office and we will help you. Dress appropriately. Dress slacks, shirt, skirt or blouse show respect for the Court. Clean jeans and dress shirt would also be acceptable. Hats are not allowed. The courtroom is not an appropriate place for children. Please arrange for someone to watch them while you are in court. Even if you plan on leaving your children in the lobby, if they are too noisy, it disturbs court proceedings and security may have you remove them from the building. Review your paperwork before your hearing. Stick to the FACTS. Try not to ramble when offering your side of the situation as your time is limited. Remember to address the Judge when speaking, not the other party or their attorney. Don't interrupt the Judge or the other party/lawyer. Wait until it is your turn to speak. Remember to stand when addressing the Judge. The Judge will ask you questions. If you don't understand the question, say so. Be direct. If you don't know an answer, say so. Take time when answering questions to make sure you answer thoroughly. Be respectful and courteous at all times with the Court. Always address the Judge as "Your Honor". Do not interrupt. If something needs to be clarified, wait until it is your turn to speak or ask to speak again. Be sincere. Don't be sarcastic or argue with the Court or the other party. Stay calm. If you are stating dates, times, places, etc., be exact. If you cannot be exact, make it understood that you are only estimating. Speak clearly and distinctly, using words, phrases, and terminology that you can understand. Remain courteous to the Judge after the ruling. Approach the bench where the Judge and clerk are seated only when told to do so by the Judge. You may bring a friend or family member for moral support. That person must remain silent, however, and must remain seated in the audience. He or she cannot approach the Judge with you. Avoid laughing or talking about the case in the hallway or restrooms of the courthouse in such a way that the other party, counsel or witnesses for the other party may see or hear you. After the Judge has made a ruling on the issues brought before him, make sure he signs your written order. When that order is filed with the Clerk's Office the decision becomes official. If the order is submitted later, the Judge will require both sides to sign it. If the other party won't sign it, you will have to schedule a hearing on the docket to ask the Judge to enter the order. The other side must be properly served notice of the hearing date and time you have scheduled to present the order. These are the rules that apply to attorneys regarding Courtroom procedure and etiquette, and must be followed by people who are "pro se" (representing themselves) also.